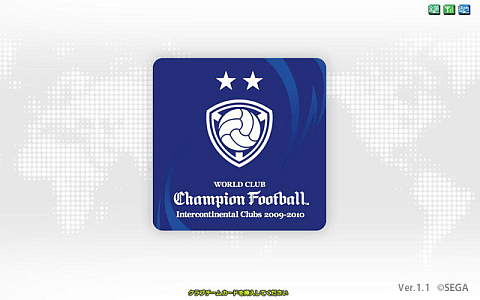 World Club Champion Football Intercontinental Clubs 2009-2010 © 2010 Sega Enterprises, Limited. Runs on the Sega "Lindbergh Blue" Hardware. This game was released in Japan on December 02, 2010. It was based on the top teams of Europe and South America.